Posted November 23rd, 2015 by Mike Boyes & filed under Anxiety OC PTSD, Clinical Assessment, Clinical Psychology, Intervention: Adults-Couples, Intervention: Identifying Key Elements of Change, Memory, Treatment of Psychological Disorders. Description: Past traumatic events can contribute to a range of challenges and difficulties in later life. 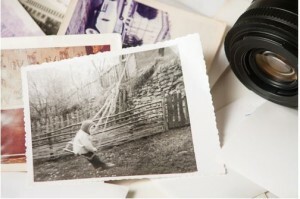 People’s memories for those particular events may be hazy or even nonexistent. The question that arises is whether past traumatic memories have to be remembered in detail in order to be dealt with effectively in later years whether such recollections are not a necessary part of successfully coming to terms with in dealing with past trauma. This article discusses this particular issue from a personal perspective provided by the author. Source: Memory isn’t important to recover from trauma, Sarah Newman, World of Psychology, psychcentral.com. For many people who experienced trauma in their past their journey to discover what happened and to deal with it is often complex and often incomplete. One could ask why individuals want to remember the details of traumatic events that occurred early in their lives. But for victims of sexual predation or other traumatic events often wanting to know what happened becomes an important part of their dealing with the consequences of those experiences later in life. The author of this article have experienced sexually traumatic events early in her childhood and struggled to first remember anything of those events and then with her difficulty in coming up with clear memories at all. What this individual came to eventually was the realization that she did not need clear memories of past events in order to deal with the consequences of your current life. She points to this being one of the major tenets of cognitive behavioural therapy which focuses on current feelings and beliefs rather than trying to dig out precise accounts of sometimes long previous events. “As the other says “Our memory may not failed us. In fact, it may have been protecting us”. Why or why not might it be important for individuals to recover the exact details of traumatic events that occurred to them in their childhood? What sort of approaches to treatment are there for the consequences of early traumatic events? What might a cognitive behavioural therapeutic approach to early trauma involve?